Veg nuggets Recipe - Enjoy this Great festivel season by preparing Soft delicious Veg Nuggets, which is a loaded with extra punchy flavors. This is One of the best options for all vegetarians, this snack recipe Likes by every home. Filling with Veggies gives the crisp texture.Crisp from the top but soft from the inside, delicious vegg nuggets that will make you enjoy the different flavors of vegetables and peanuts. 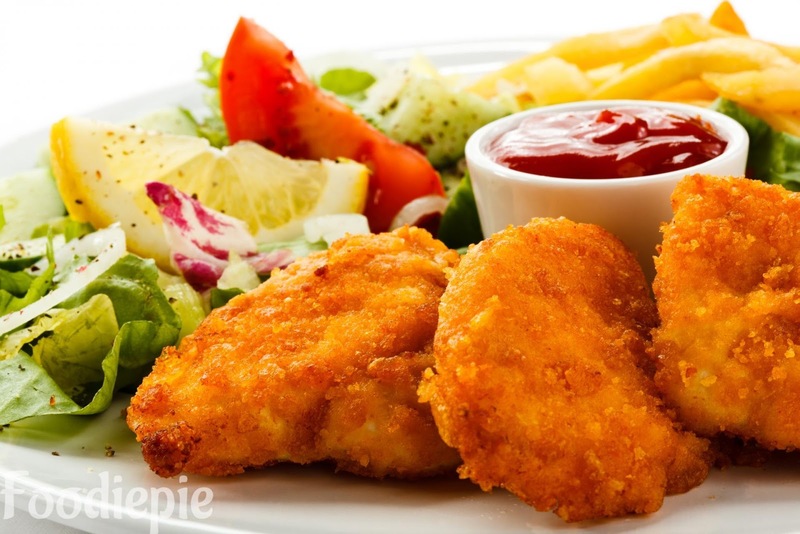 As with tea or any soft drink veg nuggets can be served in both ways Serve this in your Kitty party and surprise everyone with its extraordinary cooking skills.This is very simple recipe.Let's checkout Veg nuggets recipe first. Step 1 : First of all boil the potatoes and Green peas in steamer or pressure cooker.Once potatoes done then mash them with spoon well. Step 2 : Now take a bowl and add mashed potatoes,cooked peas finely chopped carrots,Finely chopped cauliflower,grated cabbage,roasted peanuts and chopped capsicum.Mix well with spoon or hand. Step 3 : Then add all listed spices in it red chili powder,salt,chopped green chilies,ginger paste,garam masala,Half teaspoon coriander powder,chopped coriander leaves. Step 4 : Add corn starch or Besan or rice flour over it and mix again all well.Before using Besan roast in pan for 5 minutes or till besan aromatic. Step 5 : Mix all together then check the taste if salt or any spices required then add. Step 6 : Take a little bit of mixture from the prepared mixture, pressing by hand, give your favorite round or square shape, make all the balls and place them in the plate. Step 7 : Take a bowl and add 3 table corn starch with 3 table spoon water and make a smooth batter. Step 9 : Now place the coated batter nuggets on bread crumbled and wrap with bread crumbs well and keep it in the plate. prepare all nuggets like that. Step 10 : Keep all prepared nuggets in refrigerator for 20 minutes. Step 11 : After,Put oil in a pan and heat it, add 5-6 balls or more rounded balls in hot oil, frying them until they will turns golden brown on both sides.Then transfer to plate. Finally : Veg Nuggets are ready.Serve with green chutney or ketchup at snack time.This perfect Vegetarian Snack Recipe For Families.